Minister of State for Civil Aviation Shri Pattipati Pulla Rao said steps have been taken to collect 28 lakh metric tonnes of grain in Rabi. The Secretariat will take rigorous steps against rice millers who redefine the PDS rice and deal with government regulations.A and B Registers are required to register online for rice mills in rice mills.In the immediate vicinity of the districts, the details of purchase centers are revealed. We are thinking of bringing change in the crop and making use of our rice. In the eastern and western parts of the district, people are feeding the rice so that the distribution of rice in both the districts is not going to be illegal. Rice millers have been asked to support the civil supplies department. The authorities should be alert to the gunny bags. 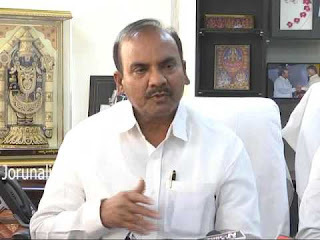 Rawalisana CMR from Millers from 2016-17 (CMR - Raising Grain Grain from Government) The minister ordered the officials to take appropriate steps to collect Rs 97.95 crore. The hostels supplied to hostels and the idea of ​​supplying steam rice with good rice like Narna, NLR for the afternoon meal scheme said. The Miller said that the government could take a decision on the milling charges as the Millennium Tariff Commission does not provide balance sheet and business details. Palla Rao promised to solve the problems of rice millers in the state. A decision taken nearly 40 years ago has been paid Rs.12.50 per mln. As soon as the CMR rice is supplied, they will be required to deposit the Rawalisana Rao Charges account. They also have to solve the major problems faced by them. To protect the rice mills, we have to set up a special committee to find out the problems in the field and take action for their solution. The Rice Millers Association chairpersons have been asked to be chaired by the State Vigilance Committee. The Commissioner of the Department of Environmental Protection, Xiaophay Principal Secretary Rajasekhar said that steps should be taken to register details of grain and rice, including small rice millers. If you do not give me a calculation, Some of the scenarios are that Nellore district chief minister Chandrababu Naidu will pay Rs. Rice Millers revealed that the license would be canceled if the accused were involved. Millers also have the opportunity to recycle the PDS rice if millers are on a scale, and millers will also be able to provide better rice to the poor. Some 4,000 metric tons of concrete have been constructed to construct the godowns and some have been prevented from constructing them. E-posse missions work well in MLS points and in some places the problems of minor problems are resolved. Similarly, Rice Millers told the Commissioner that they are unable to register any B Registrars online due to the Bank's difficulties.